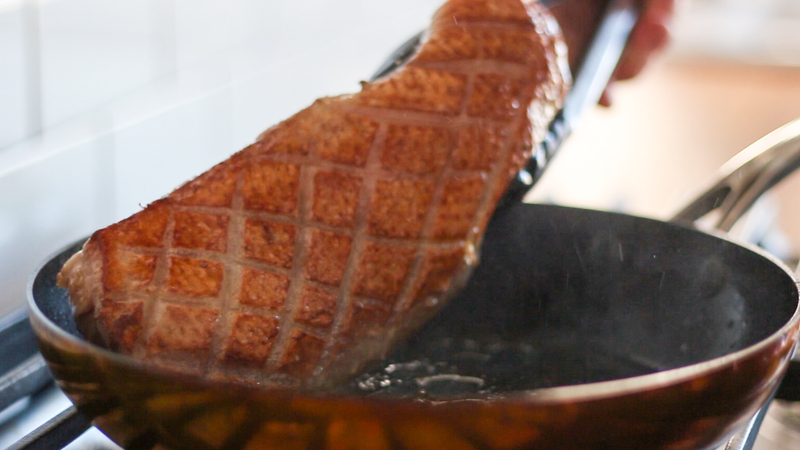 Getting duck breast perfectly cooked throughout while also crisping the skin to a crisp golden brown can be challenging. With the Anova Sous Vide Precision Cooker, you can easily achieve both. A sweet-sour-aromatic marinade of rice wine, five spice, ginger, garlic, and hoisin infuses the duck with deep flavor and leads to a rich, dark caramelization on the skin, while keeping the duck breast perfectly medium rare. 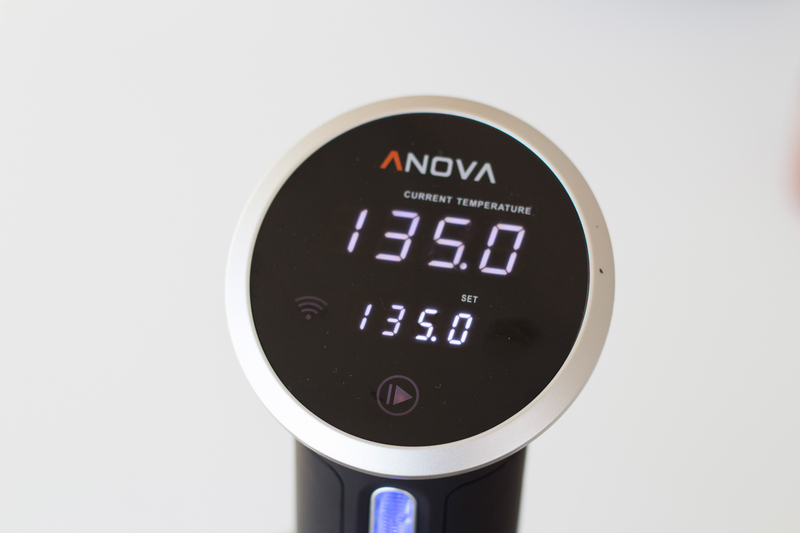 Set the Anova Sous Vide Precision Cooker to 135°F (57°C). 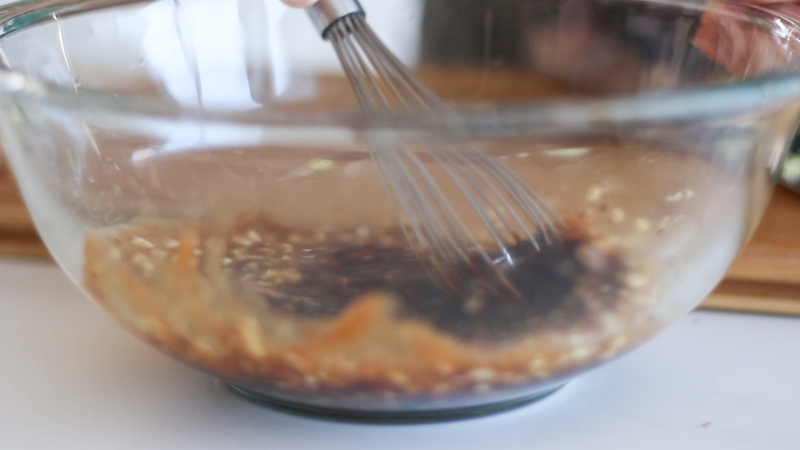 Whisk together the hoisin sauce, vinegar, ginger, garlic, Sriracha, five spice, coriander, sesame oil, and orange zest. Season the duck breasts with salt and sear over medium heat in a cast-iron skillet until medium golden brown, about five minutes. 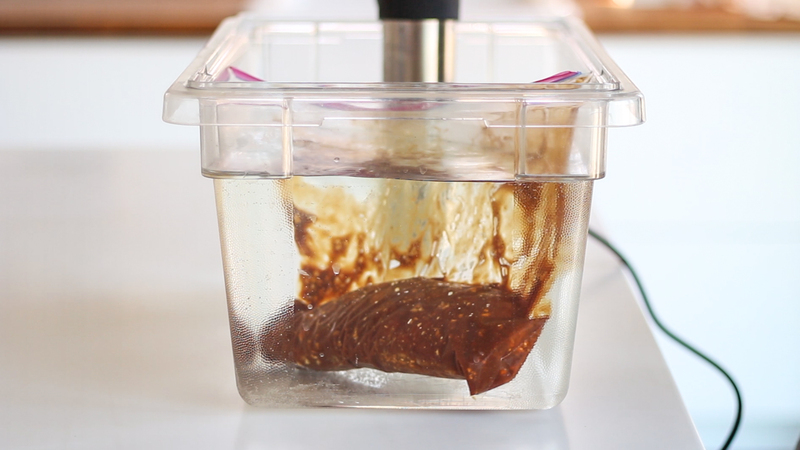 Remove from the heat and seal with sauce in a vacuum or Ziploc plastic bag. Cook for 2 hours. Remove duck breasts from the sauce, pat dry, and set aside. Pour cooking liquid into large saucepan, add chicken stock, and simmer until reduced by half, about 10 minutes. Remove from the heat and whisk in the butter. Strain through a fine-mesh sieve. In a large cast-iron skillet, sear duck breasts over medium-high heat until skin is golden brown and crispy, about two minutes.